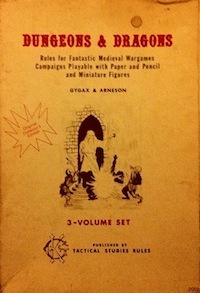 I already posted this on G+ and OD&D Discussion, but I figure it can’t hurt to throw it up here too. I like thinking about the implied setting of the 3 LBBs, so some of the info contained here is also taken from the encounter tables. For example, nixies, pixies, and dryads are not listed under the giant type, so I am assuming that they are not so much faerie creatures as manifestations of natural essence. Also, the dwarf/gnome and goblin/kobold pairings makes me think those creatures are more closely related than other monsters in the same category. 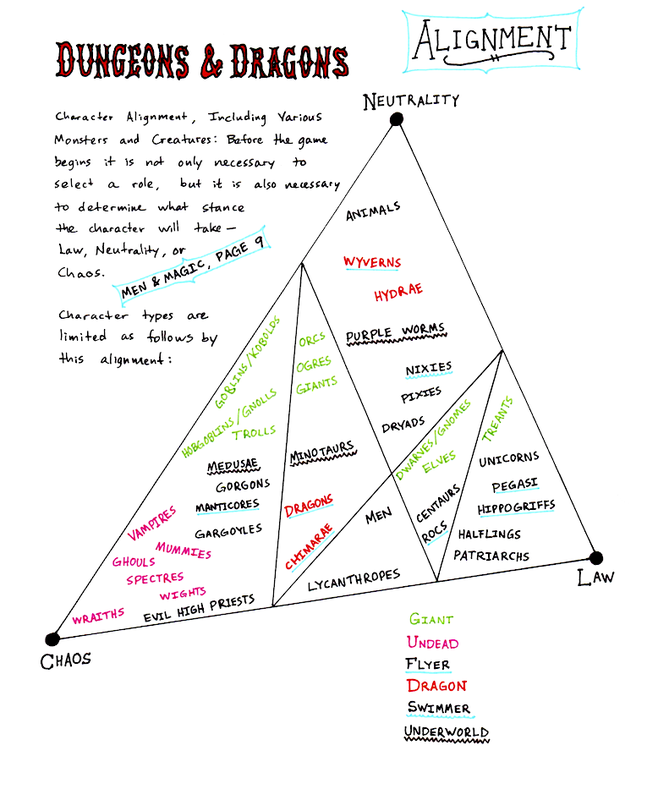 Further, the divisions of the giant types into chaos/law makes me think of a unseely/seely court kind of setup. Some info about terrain is also included (flyer, swimmer, underworld). Based on TU&WA, it seems like purple worms, minotaurs, and medusae only show up underground. This entry was posted in Uncategorized on May 2, 2012 by Necropraxis. What is the purpose of the lines inside the trianlge? It’s a Venn diagram. So, for example, men and lycanthropes can be any alignment, minotaurs can be neutral or chaotic, and wraiths are always chaotic.